Heather, thank you for choosing our day spa! We thoroughly enjoyed your company and we appreciate your wonderful comments! You definitely captured in words what we strive for every day for our clients. We look forward to seeing you again and wish you the best of health! Kayla was amazing! I felt so relaxed and she dealt with my crazy tense muscles. The atmosphere is amazing. I loved it! Wonderful job! Warm greetings. Hydrotherapy was AMAZING!! Julie has been blessed with some talented and relaxing hands. Can’t wait to return!! Great massage that reminded me I don’t pamper myself often enough. Quiet, relaxing, easy to get to, easy parking. I can’t wait to try more services. I’ve heard the Hydro Therapy rub can’t be missed! My fiance and I scheduled a get away for both of us to get a massage, and Lori and Julie did an excellent job. They were very informative to both of us. I will definitely be coming back. Wonderful experience. Will be back! Their custom built hydrotherapy tub worked wonders on my aching legs and the massage therapist finished the job with a relaxing, medium pressure massage on my shoulders and neck. Super friendly staff and a clean, comfortable atmosphere. I highly recommend it! Rachel, thank you so much for your thoughtful words! We are very happy that you were able to come in and you are a joy to have as a client at our day spa! We look forward to seeing you again! Wow. I’ve been to many spas across the country, and none compare to TVDS. From the moment I called to book an appointment, I was floored by the kindness and attention to my needs. While in the relaxation room, I asked Eric, “What do I do now?” And he said, “Relax.” If you’ve never had hydrotherapy, do it. Lisa, a/k/a “Magic Hands” is the best masseuse I have ever had, and I am really old. My husband and I always enjoy our massages at Tranquil vibe. The surroundings are relaxing and the staff is very pleasant. I have had massages with several of the therapists there. Each have their own style, and I enjoy them all. I would recommend this spa highly. 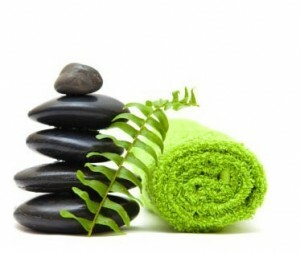 I think massages are therapeutic, and enriching, in many ways; physically, emotionally, and spiritually. Everyone should take the time to pamper and care for themselves in this way. Regan, you are completely right about massage and what it does for you! Maintaining your health and wellness through stress reduction is the single most important activity you can do, be it massage therapy, yoga or tai chi. Thank you for your words of wisdom and thank you for choosing us as your day spa! My back had spasmed yesterday and a massage today from tvds did a world of wonders! Thank you!! My facial with Taylor was amazing, relaxing and delicious! The atmosphere of the spa is pleasant and relaxing, and the facial itself was decadent. Taylor pampered me with her gentle touch and with the aromas of strawberry, chocolate, orange and lime. I left the spa relaxed, rejuvenated, and with clearer more glowing skin. I’m so looking forward to my body scrub at Tranquil Vibe next week! Delia, thank you for that decadent review! We are very happy that you loved your facial session and that Taylor was amazing! You definitely got the experience that we plan for every one of our wonderful clients! Again, thank you for your kind words, it is clients like you that make our day spa great! My visit to Tranquil Vibe Day Spa was really outstanding. The staff was very friendly and accommodating. The atmosphere was spotlessly clean and was calm and inviting in the way a spa should be. My deluxe facial treatment went above and beyond the kinds of treatments I’ve received elsewhere when I’ve spent more money, and Darla gave me great recommendations on how to treat my skin from here on out. I’m not from the Bloomington area but if I was I’d make regular visits here. Meredith, we are happy that you included us in your visit to Bloomington and you are welcome back anytime you are in town! 🙂 Thank you very much for your words of praise, we pride ourselves on being the best and strive to show that for each and every client we see. Spent a fantastic hour plus at Tranquil Vibe Spa. My friend and I splurged for a spa day, and chose Tranquil Vibe based on the great reviews. We both got the sugar scrub/massage and were not disappointed! From the moment we walked in, I felt relaxed and welcome. The spa and staff are fabulous – friendly and professional without any pretension. Lori attended to me, and I can’t say enough great things about her service. The spa is super clean, very comfortable. Highly recommended….I will be back the next time I’m in Bloomington!!! Awesome! What an Experience!!! I set up an appointment last minute for my wife, it was more a surprise when I dropped her off at the spa! It was so relaxing there that I had to try the hydrotherapy tub myself! While the wife was enjoying her time getting a facial and some other feminine stuff I realized that I was relaxed for once, being a business owner its hard for me to do that…but not at Tranquil Day Spa..there…it was almost instant. Also, I am 6’5″ and about 210lbs, I was worried about the tub being comfortable……I should not have been, I had room it was relaxing to the point i’m not sure how to describe it. Tim, thank you for your wonderful words! Our saying at the spa is “It’s all about the experience!” and we are happy that we have lived up to that with your time here! We are very proud of our hydrotherapy tub and the benefits that it provides to our clients. It was great the you decided to “take the plunge” and try it out! We know your wife was very happy with her services as well, so great job! Thank you for taking the time to let us know how we did and for choosing us as your day spa! My husband booked me a package at Tranquil Vibe Day Spa for Valentine’s Day. WOW! AMAZING! RELAXING!!! My experience here was fantastic. The staff was so nice and accommodated my every need/want. It was so relaxing and I never felt rushed to leave. The staff made sure everything was perfect for me; the smells, the sounds, the temperatures. Everything was to my liking and very customized. I left Tranquil more relaxed than I have been in years. I will definitely be booking more packages here. Kristin, we are very happy that you enjoyed your “Be Mine!” spa package! Your husband was looking forward to a day just for you! Thank you to the both of you for choosing us as your day spa! Joan, thank you for your kind words! We are very happy that you were able to finally get a good nights sleep! We would like to thank you as well for choosing us as your day spa! Wonderful place with a marvelous staff! WONDERFUL massage! DELIGHTFUL experience from beginning to end! I ll certainly return and recommend highly! Thanks Eric and Lori! I had the most wonderful facial yesterday. The spa has a wonderful atmosphere and they people were so welcoming! Just excellent. Friendly expert staff, relaxing surroundings and a beautiful wooded location right here in Btown. All I have is one word – WOW! My friend gave me a gift certificate for the Relaxation Package, which included a hydrotherapy bath and hour long massage. I added a facial to give myself the full “spa day,” and they might as well have had to roll me out of there; I was so relaxed! I got a fantastic facial, which catered to what my face needed with extractions, with Taylor, then she escorted me (in my soft, fluffy white robe and slippers) to a hydro-bath waiting for me with the aroma therapy I had chosen, then when I was done, I snuggled back into my robe and was led to my hour massage with Darla. She made sure to make my massage a perfect fit for me and work on the areas I was having pain, and she even found areas that I didn’t even know hurt and made them feel loose and relaxed. Also, she checked several times to make sure I was comfortable, paying attention if I reacted to a particularly sensitive spot and making sure I wasn’t too warm with the hot towels and bed warmers. Yet, she let me lay in silence and enjoy every second of it. I will ALWAYS return to, send my friends and family to, and buy spa packages from Tranquil Vibe Day Spa – they can count on it! I have been in for waxing and massages and would highly recommend Tranquil Vibe to everyone! The location is convenient with ample parking, the facility is beautifully decorated, definitely tranquil, and the staff is very professional and friendly. Erin focused on my trouble areas when she did my massage inquiring throughout the process if I was experiencing any pain or discomfort. No one likes to have waxing done but both Darla and Taylor did an excellent job. Both made sure I was satisfied with the results and making sure I was comfortable through the entire process. Take a moment to reward yourself with some time at the spa. You WILL NOT be disappointed. Today was my third experience at Tranquil Vibe and I have not had a bad experience yet. I have now used the hydrotherapy tub (awesome!) had massages from Lisa and Julie and a facial from Taylor. I would recommend this day spa to everyone who’s looking for a not too expensive, relaxing experience with an awesome and friendly staff. Sadly I’m leaving bloomington soon, I wish I could take this place with me. Hard to find a good place like this. Tranquil Vibe Spa is AMAZING!!! I got a brow arch, facial, and hydrotherapy. I would highly recommend tranquil vibe for all of these things!!! I had Taylor as my esthetician. She is very professional and talented! I promise you will not be disappointed!!! Great service, hospitality and staff. I enjoyed it! Candice, we are happy that you enjoyed your Mini Retreat spa package! That package is a client favorite! Thank you for your comments and for choosing us as your day spa! A wonderfully relaxing experience. I had read great reviews before going in, and Tranquil Vibe definitely lived up to my expectations. When I first arrived I was shown to a cozy waiting area, and between the comfy chair, relaxing music, and complimentary hot tea, I almost didn’t want to leave the waiting area to go get my massage. The deep tissue massage was fantastic, leaving my back the most relaxed it’s been in months, if not longer. The staff was very professional and friendly, and I felt relaxed and welcome the entire time I was there. Definitely an experience worth having. Kristi, we appreciate you taking the time to tell about your experience at our day spa. We are happy that your back felt better and you are welcome to stay longer in our tranquil room or even on our creek side patio! Thank you for choosing us as your day spa! so clean, so nice. I’ve gotten a massage and a pumpkin facial and loved them both. great results! the LED light add-on is an absolute must! Thank you so much Eric for calling in Steve to provide my massage today. When I called this am to confirm the facials for Kay and I, which were the best we have ever had, I asked about a massage and was told she was booked. It was not mentioned calling in another therapist. I thank you for do that for me. Being a massage therapist myself I can tell you, he is awesome. We love your Spa and plan on coming back next year. Our bodies and spirits thank you. I just had another hydrotherapy session followed by a massage, and I wouldn’t think it was possible, but it was better than last time I did it a couple of months ago. That tub is fabulous! Once you’re in and get the bubbles started, it goes through several different “programs”. It will begin with jets on your back and feet in a rhythm, then after 5+ minutes, it will move to just bubbles on the sides, then goes to something else. How can you not be totally relaxed after that tub takes care of you? So I did 20 minutes in the tub with a honey treatment, then went to a 60 minute massage with Lori. I was stress-free and relaxed when I left! The only thing missing was someone to carry me to my car. It is a beautiful setting outside, plenty of free parking, and a beautiful facility. Way to go, Tranquil Vibe! We had facials by Darla today and they were the best facials we have ever had. I highly recommend her. The decor is very relaxing and beautiful. The staff is friendly and professional. I highly recommend you schedule a visit today. Thanks Lori & team. Beautiful facility and Amazing and knowledgeable staff! Went there today for my second massage and its amazing! I’ve had great experiences with both Lisa and Julie. I’ve had many massages in ohio and Indiana and this is by far the best bang for your buck. Their place is awesome, the staff is friendly and will give you a tour and get you whatever you need. My next visit will definitely include hydrotherapy in their awesome tub! This was a wonderfully relaxing experience! I recently came in town for a visit, and my family and I really wanted to check this place out. As soon as we walked in there was a sense of peace- “tranquility” if you will. A certain calm takes you over that is really hard to describe. Once we entered we were given a tour. Since we had never been this was a great way to see what they had to offer, and get a sense of what we would get if we scheduled an appointment. I personally had never seen anything like it. All the rooms are beautiful and well designed for multiple services at a time which only aides in the relaxation of it all. So once we were given the grand tour we had to get something done…it was too good to resist. This place is amazing. We were able to schedule various services including: massages, a facial, and hydrotherapy session. Everything we received was amazing! They were very flexible with scheduling, and everyone in my family felt like jello when we left. Thank you all at Tranquil Vibe for such an awesome experience! We will be back very soon! I’m a complete newbie to the spa experience, but my visits here have been fantastic! I’ve had a facial, and now a hydrotherapy soak and a massage. That tub is phenomenal, I chose the first “Energizing” routine, and it was sooooo nice. It’s not very expensive either, so you really should just go do it, even if you’re skeptical! I think next time I’ll go for the stronger one, just to see what it’s like. The facials are great, my skin was pretty much glowing for days afterward, and the massage felt amazing as well. I’m pretty sure I dozed off a bit towards the end of it (haha). Also, I’m in love with their robes and tranquility room. So peaceful! Tranquil Vibe is aptly named. It is tucked into a quite nook along side a wooded creek with a tranquil and relaxing environment. The spa is elegantly decorated with calming music and top notch spa equipment. I was greeted by the friendly staff that showed me around the facility while explaining all of their services and answering my questions. This helped me feel relaxed and comfortable with my spa choices, as it was hard to choose with so many wonderful service options. The hydrotherapy tub is an option I’d recommend for anyone to try in conjunction with another service or on its own. I felt like I’d had a 60 min. massage after 20 minutes in the hydrotherapy tub. It is a great way to get massage results when time is limited or easy to add on a tub soak while there for another service.I was also impressed with the line of natural skin care products the spa uses and offers. Lori and Monica took into consideration my sensitive skin needs when choosing products for my invigorating facial. My skin felt so refreshed after my facial that I purchased a few of the products at the front desk for use at home.I look forward to returning to Tranquil Vibe for future services. I would highly recommend it for spa services and products. This top notch spa facility is sure to please and impress you too. My work week ended with a hydrotherapy bath and a massage, and it was wonderful! That tub is phenomenal – very deep, and I wasn’t scrunched up at all. In fact, my feet didn’t even touch the other end! And they added honey aromatherapy to the bubbles which was great. There are jets all over – a bunch for your back and all the way down the sides of the tub. When I finished the bath (20 minutes), I put on one of those fluffy robes and went to their tranquility room to relax for a couple of minutes. My massage (60 minutes) was with Lori who asked me some questions about how I was feeling and she focused on my problem areas (like lower back pain!). I was so relaxed by the time I was done I wasn’t sure I could walk! The facility is awesome and you just feel the tranquility when you walk in the door. The furnishings are beautiful with warm earth tones throughout. The ambiance coupled with an experienced staff makes this a truly pampered and exquisite experience. The next time I go, I’m going early so I can relax outside on their creek side patio before the pampering begins! Believe me – this place is GREAT! I just recently had a 90 minute massage with Lisa. One of the best massages I have had in town. She was very good and I’m pretty sure the massage was not a ‘cookie cutter’ massage routine. Very impressed. I will be back. Lisa took me on a tour of the facility and the place is very nice, not to mention they have the deepest hydrotherapy tub I have seen. Perhaps a facial is in my near future. I must also add that the location is very convenient. I don’t like going downtown to get a massage because parking is a pain. Vibe Day Spa has their own parking lot. Also, they have a very nice outside sitting area with a wooded/creek view, something the downtown spas cannot possibly have.